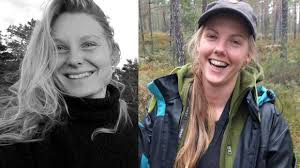 Heavenly Father, today we grieve over the killing of Scandinavian tourists Louisa Vesterager Jespersen and Maren Ueland in Morocco. We are thankful Morocco’s Central Bureau for Judicial Investigations has announced that 14 suspected Islamic State militants have been arrested related to the murders. We pray for the investigators in Denmark, Norway and Morocco who are working to solve this crime, that they would have diligence, efficiency, and ultimately success. We are thankful for those rallying around the families and communities that have been impacted by these murders. We are touched by the candlelight march that happened Friday in Ueland’s hometown. We pray for Saturday’s gathering outside the Norwegian Embassy in the Moroccan capital that is intended to show support of the families of the victims and to condemn terrorism. May this gathering be powerful and uplifting, and may it send a message to the Islamic State: we will never accept your heinous work. Please grant Ueland and Jespersen’s loved ones extra measures of grace and peace this holiday season, Lord. In Jesus’ name we pray, amen.